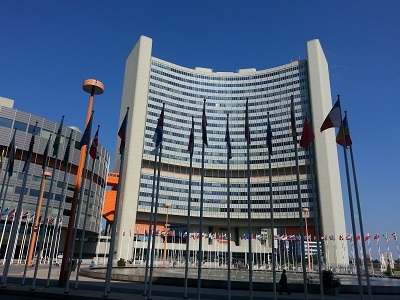 The UN Commission on Crime Prevention and Criminal Justice will convene in Vienna on 18-22 May. Held annually it is the principal policy-making body of the UN in the field of crime prevention and criminal justice and is therefore of key relevance to PRI’s mission. The Commission is the preparatory body for and implements many of the recommendations of the Crime Congress – a meeting held every 5 years, most recently in April 2015 in Doha, Qatar. At this year’s Commission, PRI will be co-hosting various side-events and focusing on the revision process of the Standard Minimum Rules for the Treatment of Prisoners (SMRs). PRI’s delegation in Vienna is following the negotiations of the resolution tabled by Brazil, Italy, Poland, South Africa, Thailand, United States of America and Uruguay, ‘United Nations Standard Minimum Rules for the Treatment of Prisoners (the Mandela Rules)’ (E/CN.15/2015/L.6) (available in all UN languages here). See here for more on the process. Together with South Africa, Thailand, Switzerland and Uruguay, PRI will be hosting a side-event on Tuesday 19 May at 9am. This side-event seeks to provide a platform for discussion on the outcome and recommendations of the fourth Inter-governmental Expert Group Meeting (IEGM) on the revision of the SMRs. The Expert Group reached consensus on all Rules identified for revision within the relevant thematic areas, and recommended to the Commission to submit the revised Rules for approval by the Economic and Social Council and subsequent adoption by the General Assembly, to be known as “the Mandela Rules”, to honour the legacy of the late President of South Africa, Nelson Rolihlahla Mandela’. Read more about the process. Co-organised with the Justice Section of UNODC, this side-event will reflect on efforts in different regions towards implementing the UN Bangkok Rules on women offenders and prisoners, five years on since they were adopted at the General Assembly. PRI’s Policy Director, Andrea Huber will reflect on gaps in implementation and present tools and resources for putting the Bangkok Rules into practice. At this side-event two expert panelists on drug policies and corrections in peace-keeping/post-conflict situations will present the challenges and opportunities in those respective areas. PRI’s Executive Director, Alison Hannah will present the organisation’s new publication ‘Global Prison Trends 2015’ which describes key global trends in the use and practice of imprisonment and identifies some of the pressing challenges facing states that wish to organise their penitentiary system in accordance with international norms and standards. Co-organised with the Friends World Committee for Consultation (Quakers). Organised by UNODC and co-sponsored by Spain and PRI. At this side-event PRI’s Programme Officer, Olivia Rope will speak on the implementation of the Bangkok Rules on gender-specific healthcare.